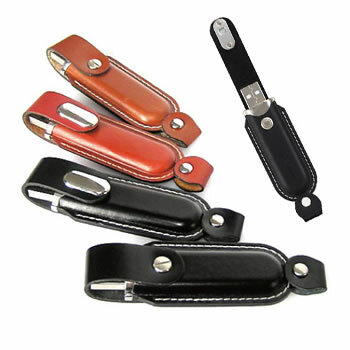 FD18 Caribou Leather USB Flash Drive, minimum 50 units. Comes in over six leather colours. Can be engraved or embossed. FD18 Caribou USB Flash drive is made of leather and is available in black or brown. The Caribou can be printed or blind embossed (recommended) on the leather section. Colours Available: Silver with Black, Red or Blue. All other colours available on request.